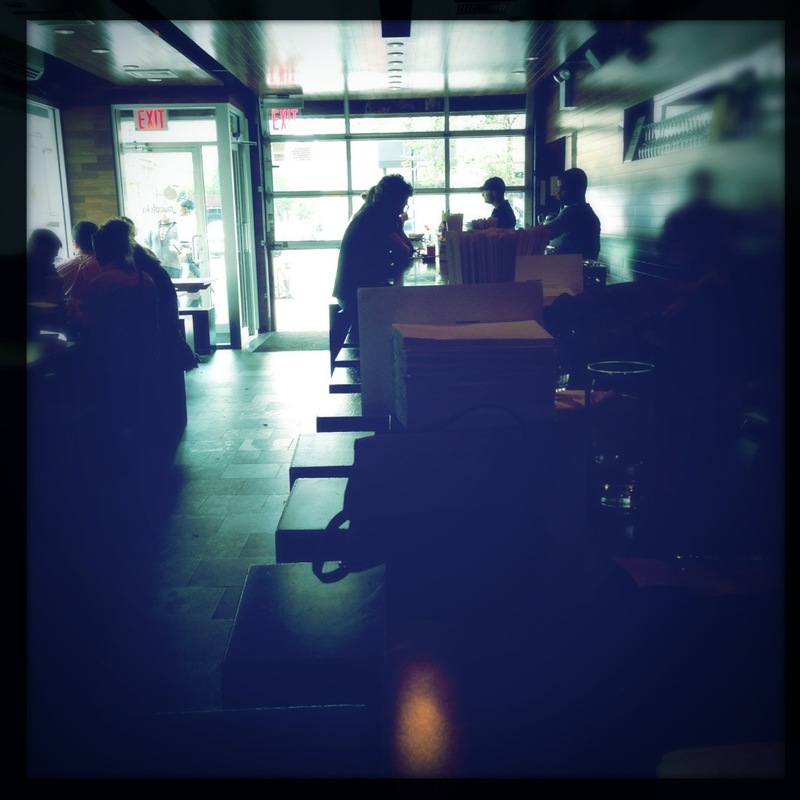 Momofuku Ssam Bar | Oh No! Not Another NYC Food Blog! Small plates-focused offering from David Chang of Noodlebar fame. 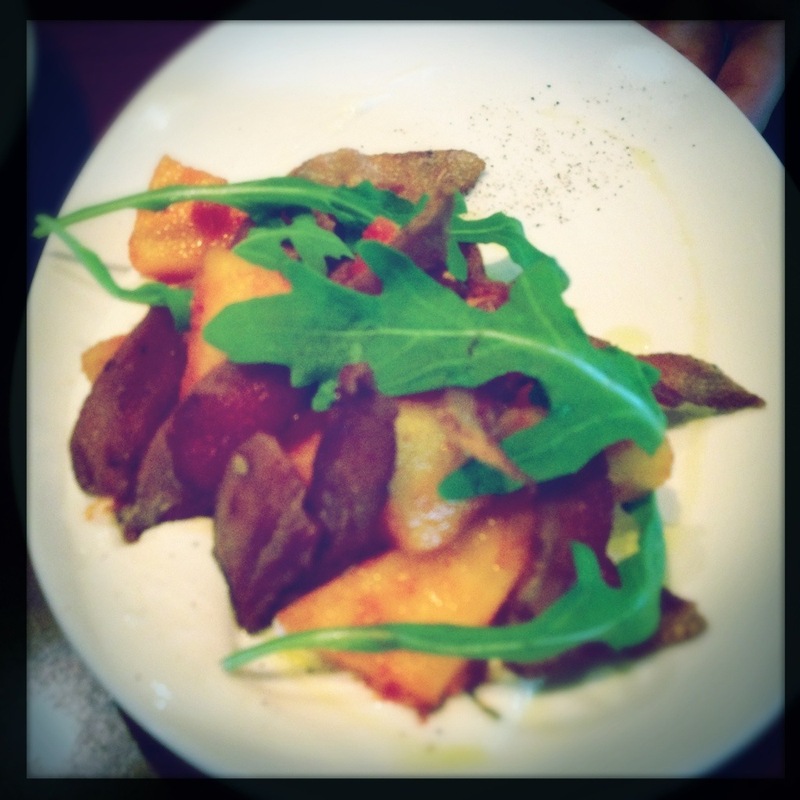 Honey Crisp Apple Kimchi with Maple Labane, Jowl Bacon, and Arugula – Good balance of sweet/salt/acid/heat. Crazy good bacon. Goat cheese like yogurt – a great addition. 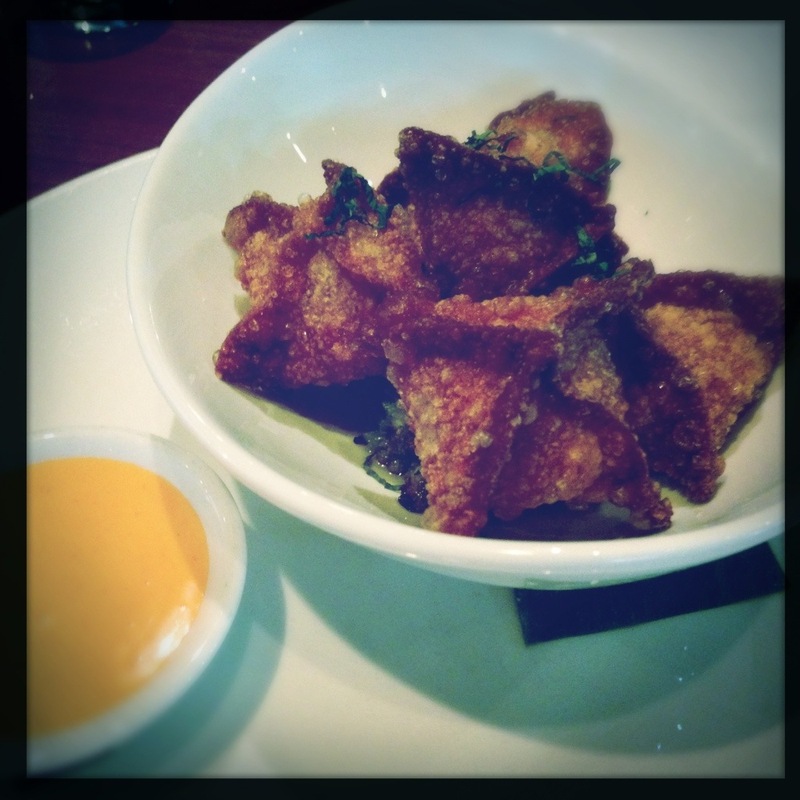 Fried Duck Dumplings with Romanesco and Sriracha Mayo – Really tasty little flavor bombs, but a touch salty. Nutty, rich, ducky nuggets of love. 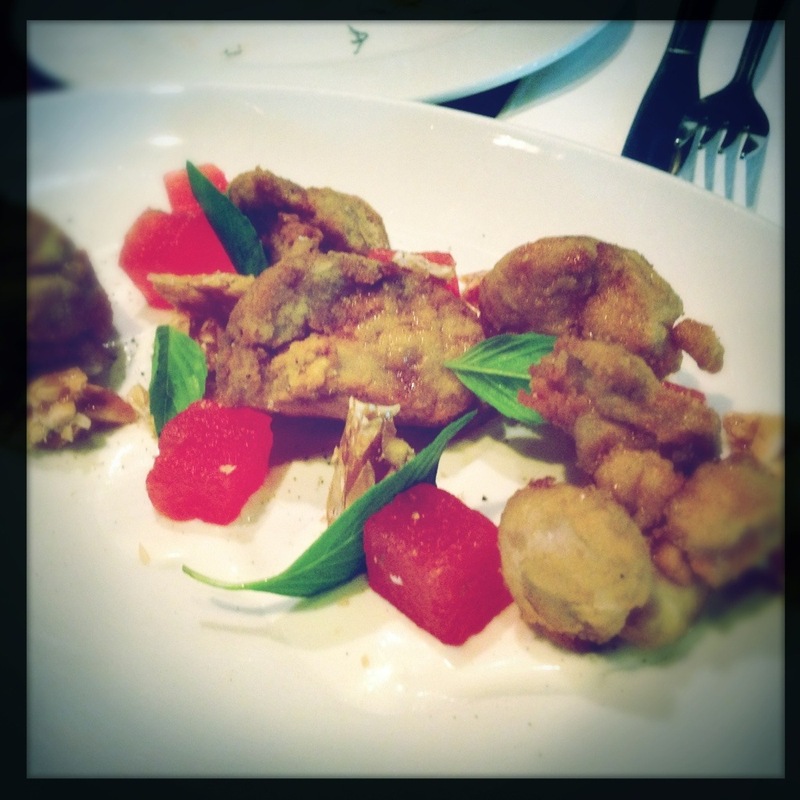 Veal Sweetbreads with Goat Cheese, Watermelon, and Almond – Perfectly fried sweetbreads; silky, velvety goat cheese; I want a bucket of the almond brittle; best watermelon I’ve had all year (compressed with lemon). Minimal with warm dark woods and natural light. Good, even though we snuck just under the quittin’ time wire. Great flavors, an inventive menu, and a relaxed atmosphere make this a great spot for a quick bite or long meal with friends. Those fried duck dumplings sound great! I need to get myself there.